Delhi is the third largest city in India. It is the capital of India and has the population of about 14 million. Many rulers have ruled India from Delhi and this place is of great importance in the Indian history. All the contrasts and contradictions of India is particularly visible in the capital. The monuments and ruins of the historical era is scattered throughout the city along with the modern structures and high-rise towers. In the old Delhi you will come across the Mughal- built monuments and congested souk-like bazaars and on the other hand the New Delhi are will catch your attention with its wide avenues, grand vistas and colonial mansions. Lets us try and explore the various tourist attractions of Old Delhi. 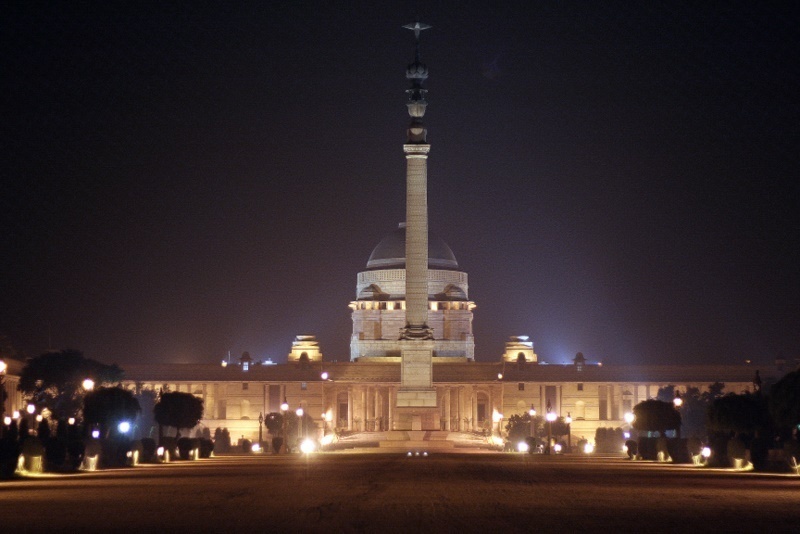 Rashtrapati Bhawan is situated at the crest of Raisin Hill and was designed by Sir Edwin Lutyens. It was built as the British Viceroy’s Palace and now it is the official residence of the President of India. It is an elegant beige and red sandstone building and covers the total area of 2 km. All the important state ceremonies are held in the Durbar Hall and on the west side of the building there is beautiful Mughal Gardens which are opened for the visitors in the spring month. It is a heavily guarded verdant area which was quite barren and treeless when British had selected it as the site of new capital. Stately building such as North and South Blocks of the Secretariat is in this area and thus this area is heavily guarded. The Circular Sansad Bhawan or Parliament House where the both the houses convene when the parliament is in session is there. Cathedral Church is behind the Sansad Bhawan which is the diocese of the Bishop of the Church of North India. This is the two-mile-long avenue that is used for parades. 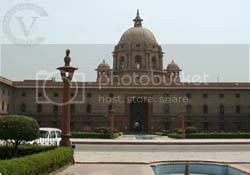 There is the National Archives building at the intersection of Rajpath and Janpath. At this building the important state and documents are kept. 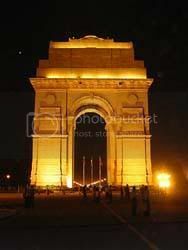 India Gate is at the eastern end of the Rajpath which is a huge red sandstone arch. 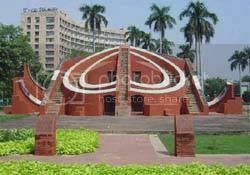 It was built in the memory of all the soldiers who died in World War 1 .There is an eternal flaming burning in the memory of the soldiers who have laid their life in 1971 India –Pakistan war. This is the former residence of maharajas of Jaipur and also known as the Jaipur House. It is one of the largest museums in India. At this museum you can find the modern art ranging from the mid 19th century to the modern time. You name any artist of India and you will find his or her work there which may include the works of Jamini Roy or Rabindranath Tagore or Raja Ravi Verma to some more contemporary artists like Ram Kumar. In the present time this complex is the office of the state owned television centre. It is a cultural complex with many cultural buildings such as Triveni kala Sangam which has contemporary art galleries, open theater as well as a popular café. There is also the Kamini Auditorium, the Shri Ram Centre and the National School of Drama. These are the vibrant centers for theater, music and dance performance. This shopping complex was opened in the year 1931 and it was named after the Duke of Connaught. It was designed keeping in mind the contrast of the typical Indian bazaar and therefore it has Palladian archways and stuccoes and colonnades. 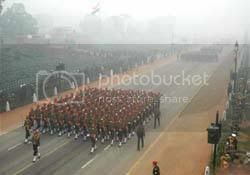 The outer circle of the Connought Place is now named as Indira Chowk and the inner circle is renamed as the Rajiv Chowk. This observatory was built in 1724 by Sawai Jai Singh 2 of Jaipur. He wanted to perform sacred pujas and rituals at propitious moments and thus he built this Jantar Mantar to calculate planetary positions and alignments accurately. The instruments at Jantar Mantar are large and fixed this make them resistant to vibrations and thus are always correct and exact. Though this is now obsolete and it lies at the centre of a pleasant park surrounded by many huge buildings. Industrialist BD Birla built this temple in the year 1938. The first puja at the Lakshmi Narayan Temple was performed by Mahatma Gandhi and this was the first temple that was built in India where there was no caste restrictions. It has the images of Lord Vishnu and his consort Lakshmi in its main shrine. It is an example of typical modern Indian temple architecture. You can find sacred verses and texts from Hindu religious books on the subsidiary shrines. I am Susan Hannan from Exams Key; it gives 100% 299-01 Test Questions exams. Let’s take benefit of 3102 Test Questions Exams material efficiently and get guaranteed success. Check out free demo of all certifications Exam. Interesting information. Like typical modern Indian temple architecture. Have a great weekend !